It’s officially past Christmas and our house is still aglow with Christmas lights. Don’t expect them to come down any time soon either. This being one of the joys of adulthood. If we want our Christmas lights to remain until June, we can. (Don’t worry, we won’t keep them up till June, we were thinking more late January early February…) It just takes so long to put everything up, and since we got a late start on it this year thanks to a very late Thanksgiving, it’s sticking around. Do you blame us though? I mean, look how cozy it is! 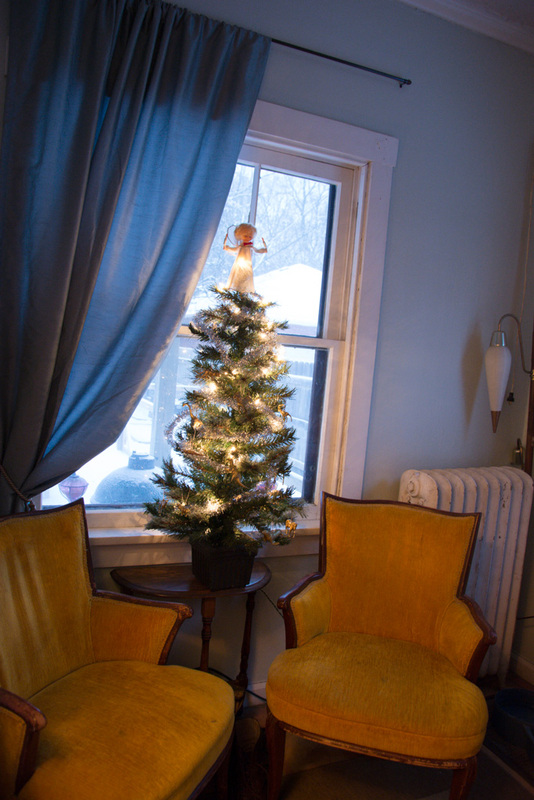 This is one of the mini-trees the husband actually allows me to decorate… It’s cute little mid-century angel was found at Goodwill. 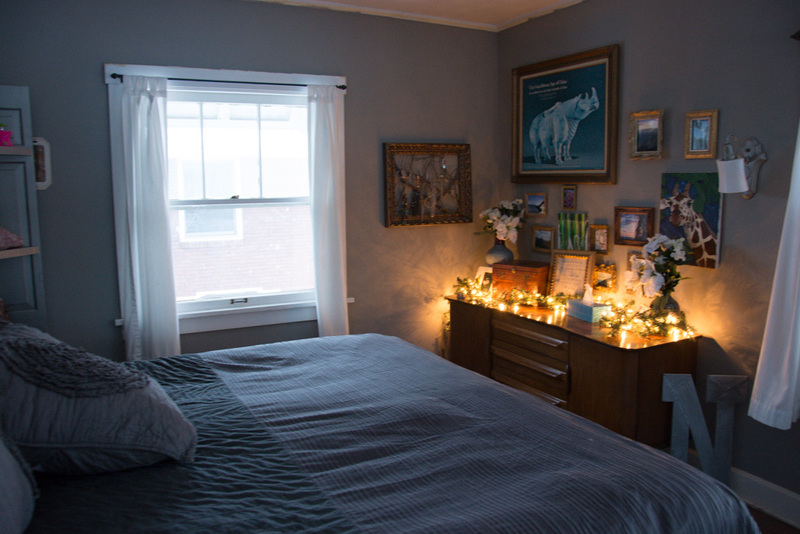 How can you not love a soft glow of Christmas lights in the bedroom? 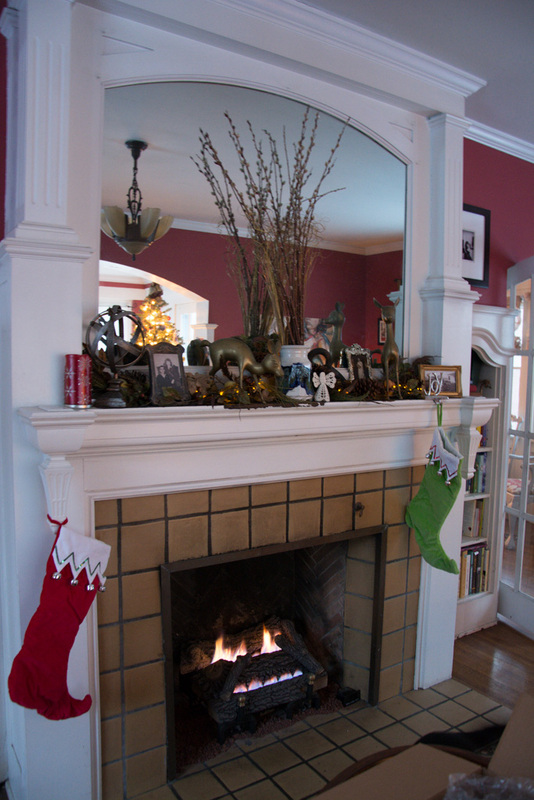 A somewhat woodsy-eclectic mantle spread. The favorite glow comes from this tree. We bought it pre-lit but the lights didn’t last… so the husband spent four hours de-stringing the tree and then putting new lights on. He’s dedicated. 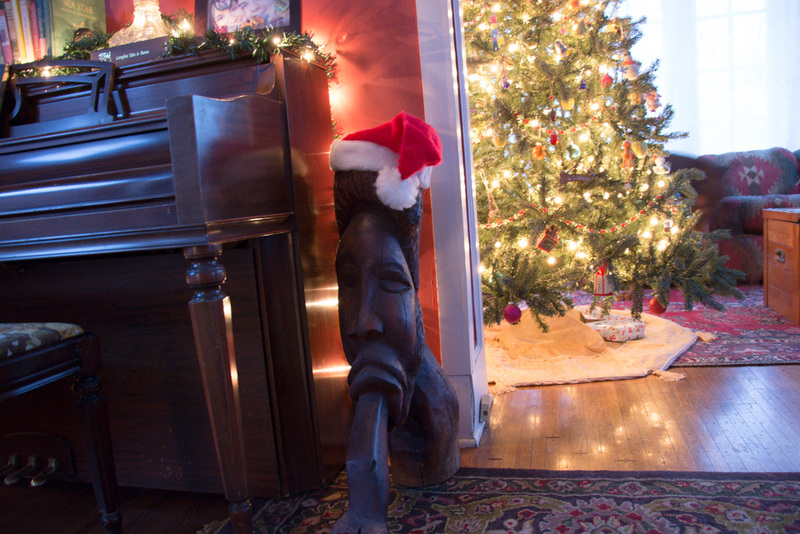 Even Hugo, our souvenir from Andros Island, gets a little Christmas cheer. 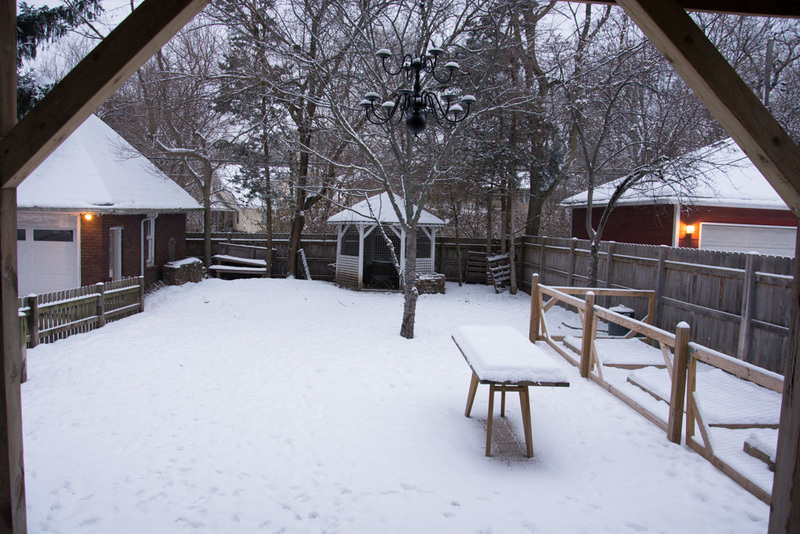 I wish this were my backyard view right now… but alas, this was before Christmas. Currently, it’s a frozen muddy mess. 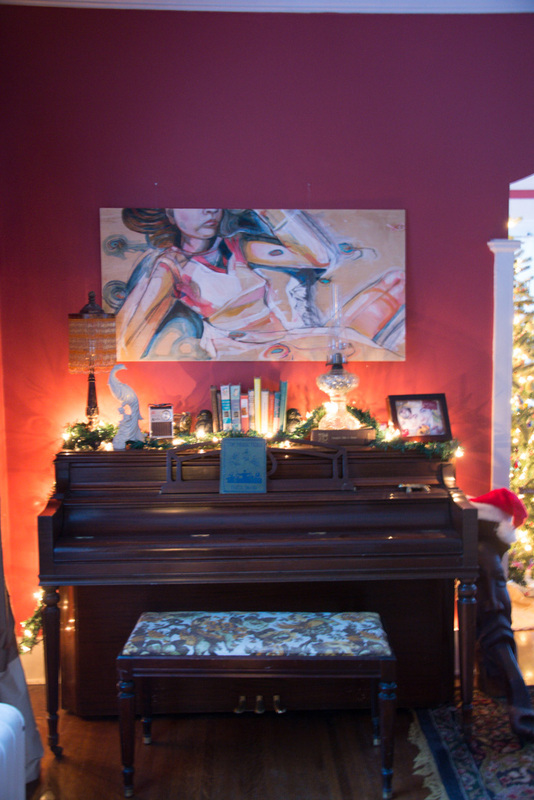 The piano isn’t left out of the warm glow, and one of my favorite pieces of artwork receives a lovely under-light. The dining room got an upgraded tree this year. A flocked beauty. The husband gets sole winter decorating rights in here. I’m just allowed to look. And there you have it. 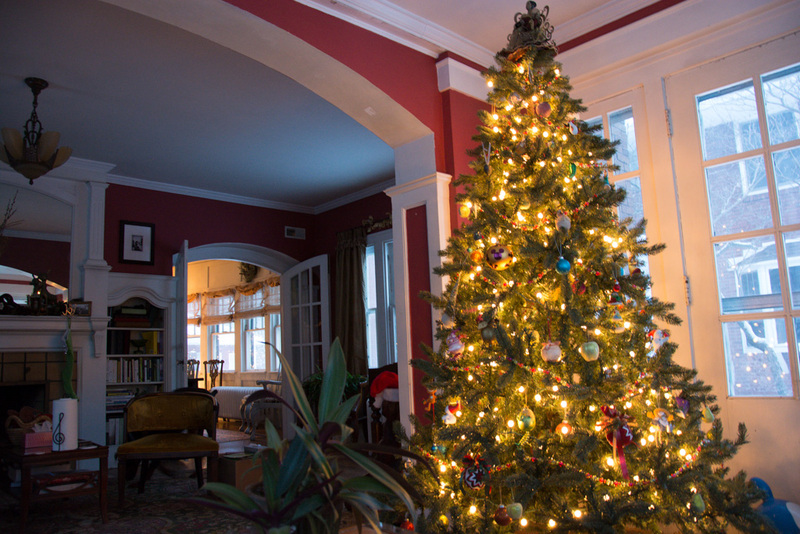 This is how our home will look until about Jun, er, January 30th or so. 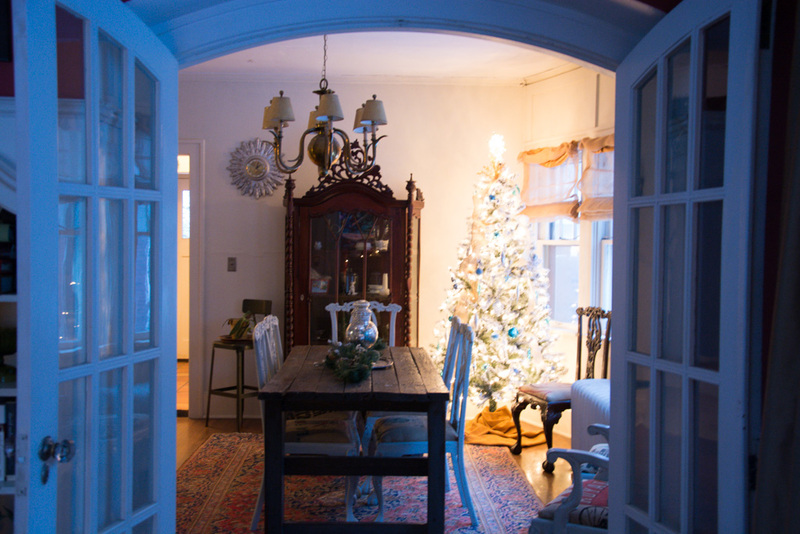 We hope you’ve had a cozy Christmas and have a delightful New Year.